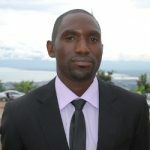 Richard NIJIMBERE, born in Ruyigi, East of Burundi in December 1980. He grew up in a normal modest family, with his parents (both of them teachers) and his 4 sisters and his little brother till October 1993. In the 1993 civil war, both parents, one sister and his brother were killed the same day. He fled to live in refugee camp for 4 months in Tanzania and came back to Burundi in April 1994 to live with his grandparents. After the grandparents were also killed in 1997, he had no other choice. He then went to Maison Shalom, by the help of a friend who were among the 25 children saved by Maggy, when she founded Maison Shalom in October 1993. Today, Richard manages Maison Shalom Rwanda.